Finally! Coni and I have been working on this project for months, from conception to development, to testing and finally to everything you see here. 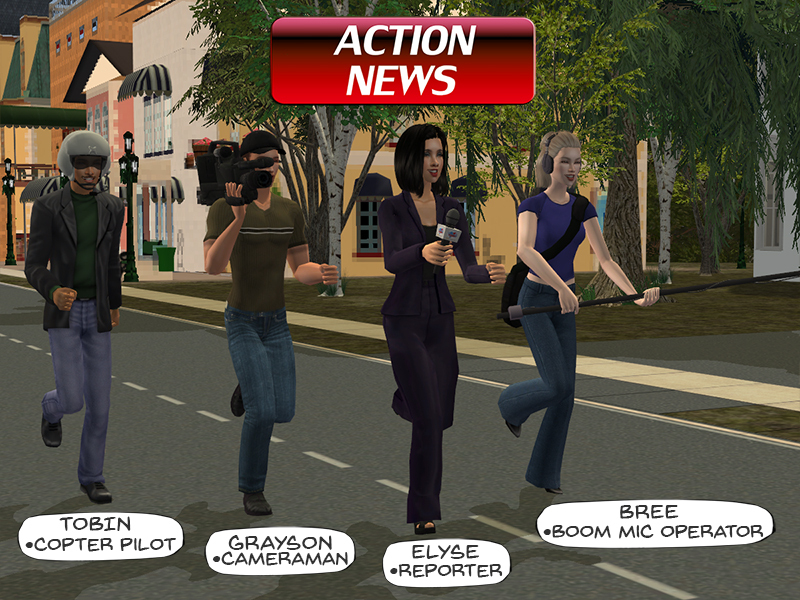 Action News is a new set of props and poses for making the news, from the studio to the team on the ground to the news copter. I tried to make the set as complete as possible, to create a new resource for storytellers. 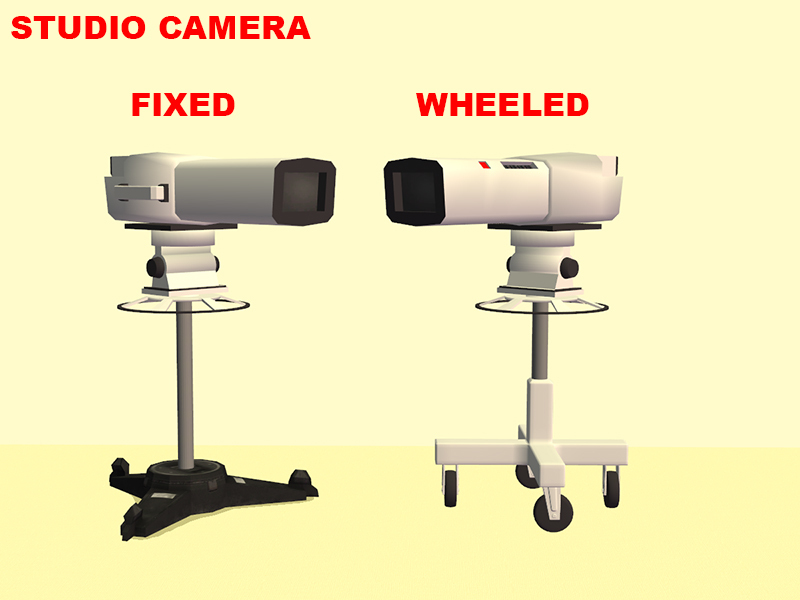 The set includes eight new accessories, three vehicles for posing, a set of camera objects, and a few more odds and ends. While I consider this a sister project to the Combate Moderno series, and it dovetails nicely with Combate Moderno, Action News is an independent initiative, and for this project, the presentation will be primarily in English and the posebox strings are written in English. ¡Finalmente! Coni y yo hemos trabajado en este proyecto durante meses, desde la concepción hasta el desarrollo, las pruebas y finalmente todo lo que ves aquí. Action News es un nuevo conjunto de accesorios y poses para hacer las noticias, desde el estudio hasta el equipo del reportero y el helicóptero de noticias. Traté de hacer que el conjunto lo más completo posible, con el propósito de crear un nuevo recurso para los narradores de cuentos. El conjunto incluye ocho accesorios nuevos, tres vehículos para posar, un conjunto de objetos de cámara y algunas otras cosas más. Si bien considero que este es un proyecto hermano de la serie Combate Moderno, y encaja muy bien con Combate Moderno, Action News es una iniciativa independiente, y para este proyecto, la presentación será principalmente en inglés y los comandos del posesbox están escritos en inglés. 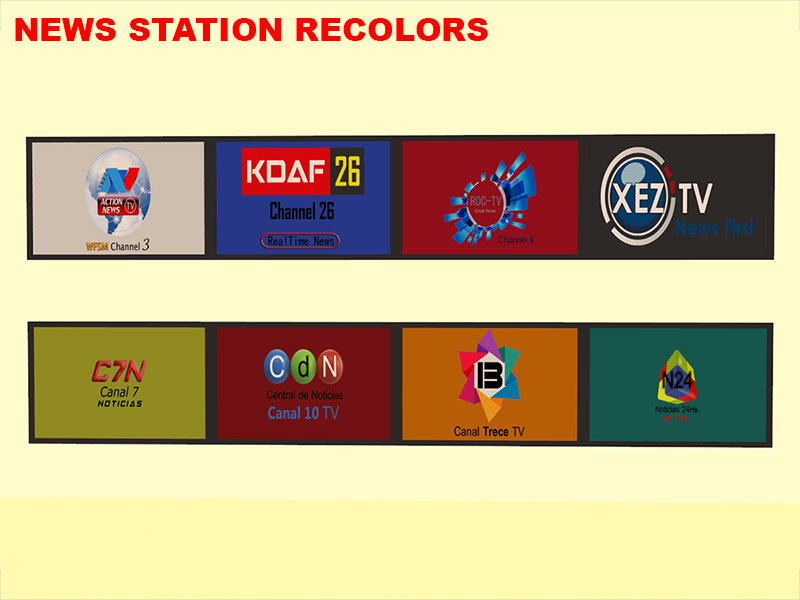 First and foremost, to Coni for the original concept, for much of the creative energy that went into the project, for the design of the news station logos, for constant feedback on how to improve the project, and probably for about ten other hings I've neglected to mention. 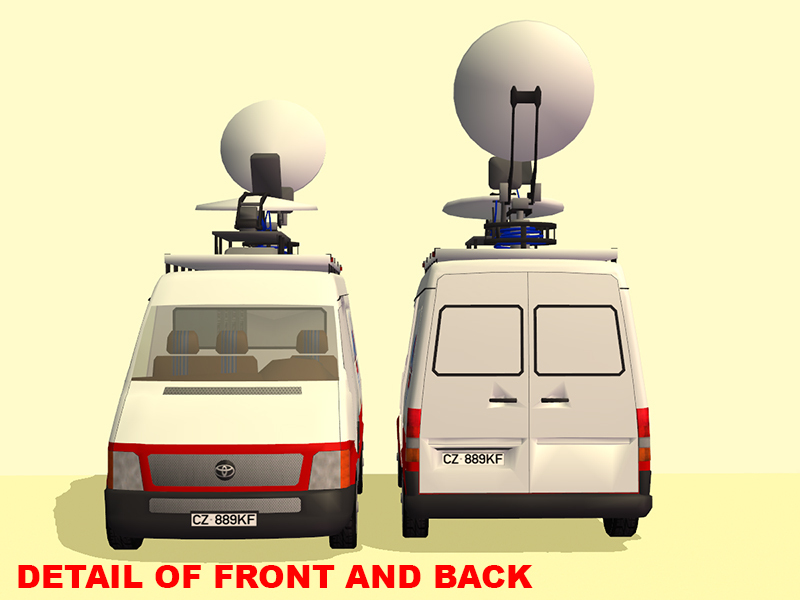 The boom mic, the headphone, the tripod, the main body and satellite dish of the news van, reporter's microphone, and the helicopter models were provided by CadNav. All of the objects included in this set. 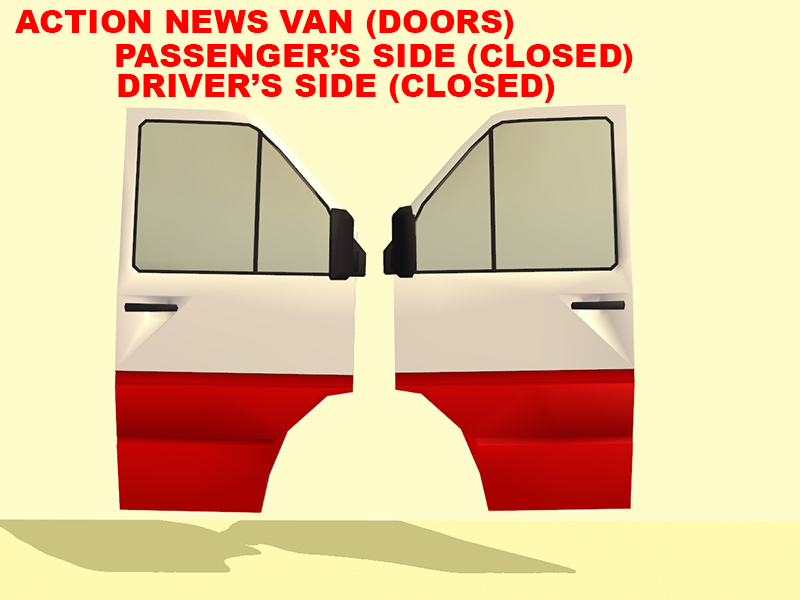 Egghead stuff: The van is a special object designed to be used in conjunction with poses. The doors are deco objects slaved to the van. It contains four deco slots for placing doors and four slots for posing sims. 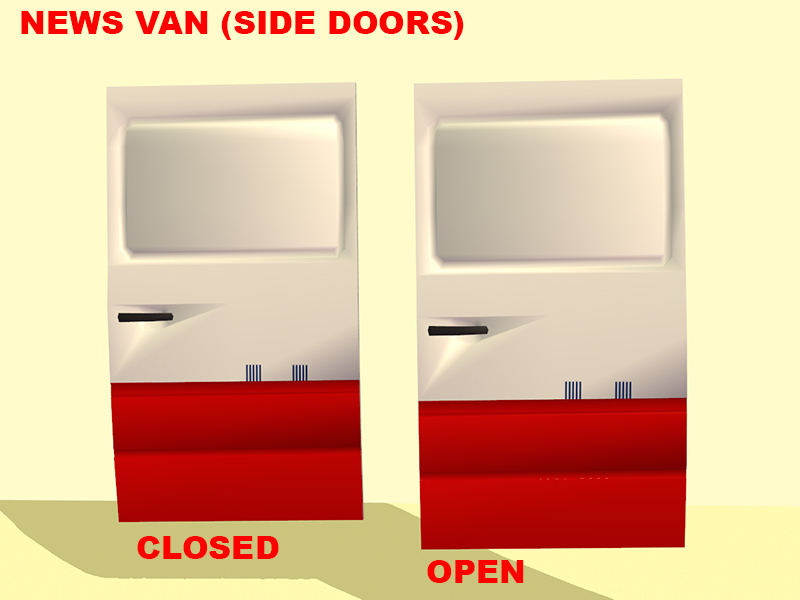 Once the slots have been filled, you can pick up the entire van to reposition it. Important: to enable the slots you must first enter the cheat code "move_objects on". You can also click on the van to activate and deactivate the special effects (running lights and high-beam headlights). 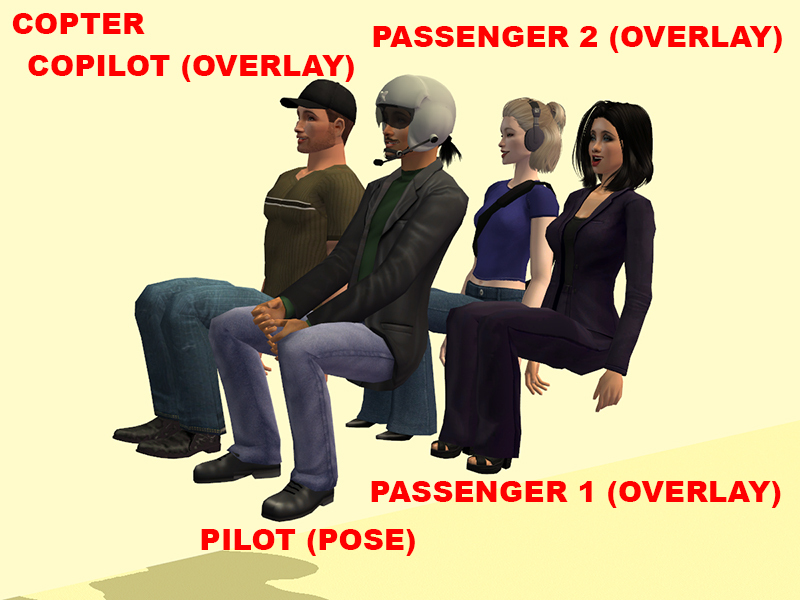 Egghead stuff: The copter is a special object designed to be used in conjunction with poses. 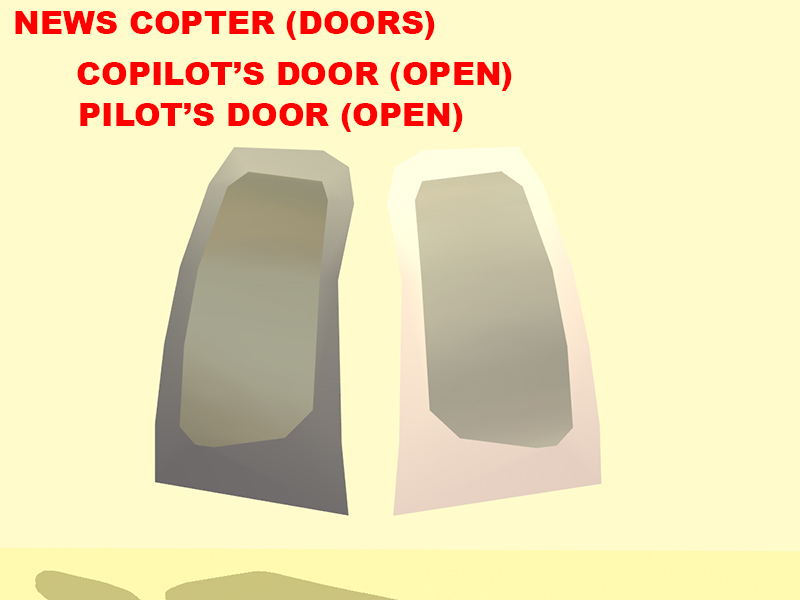 The doors are deco objects slaved to the copter. 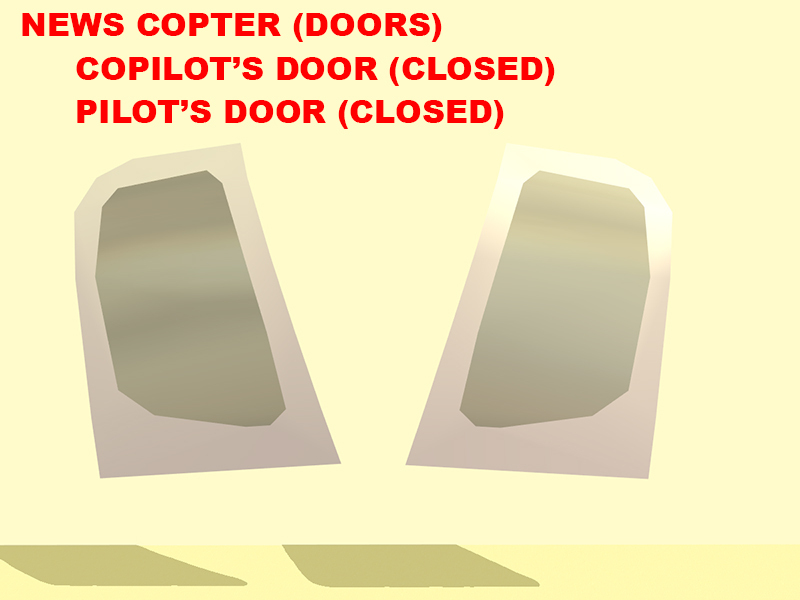 It contains four deco slots for placing the doors and four slots for posing sims. 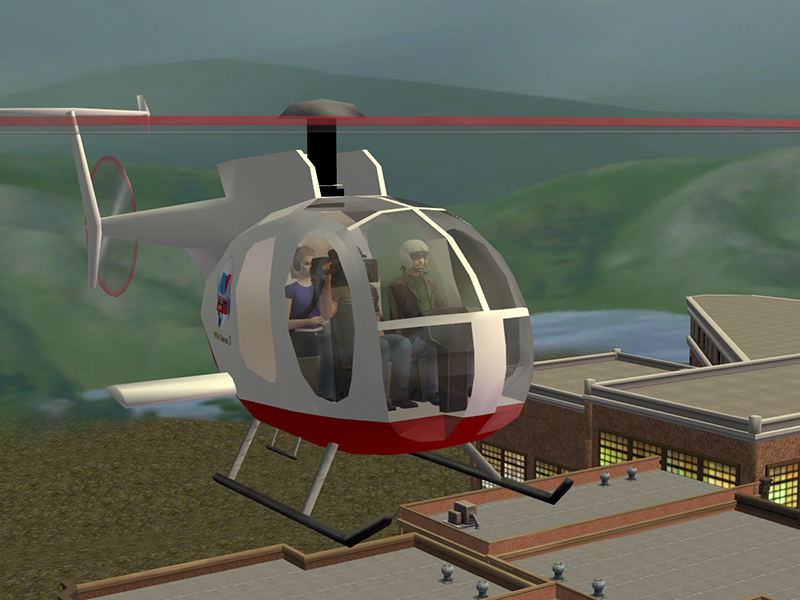 Once the slots have been filled, you can pick up the entire copter to reposition it. Important: to enable the slots you must first enter the chaat code "move_objects on". 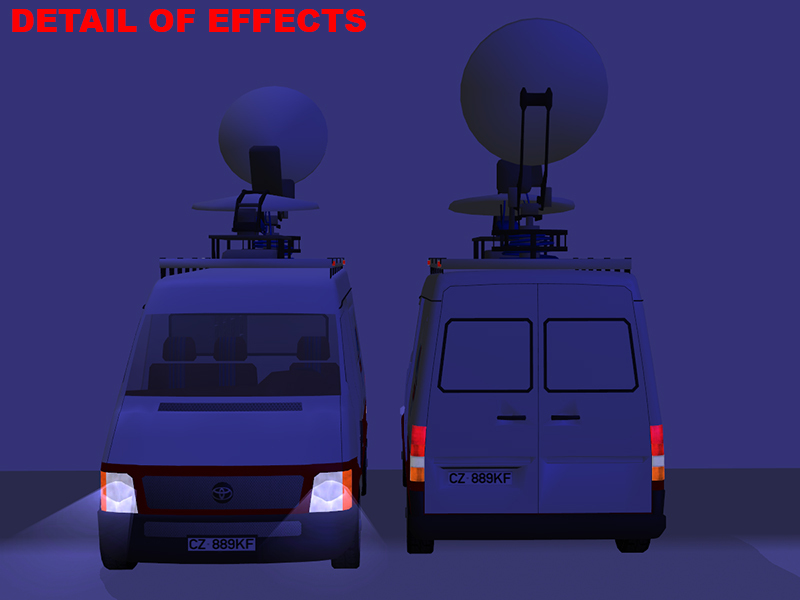 You can also click on the van to activate and deactivate the special effect (the rotors). 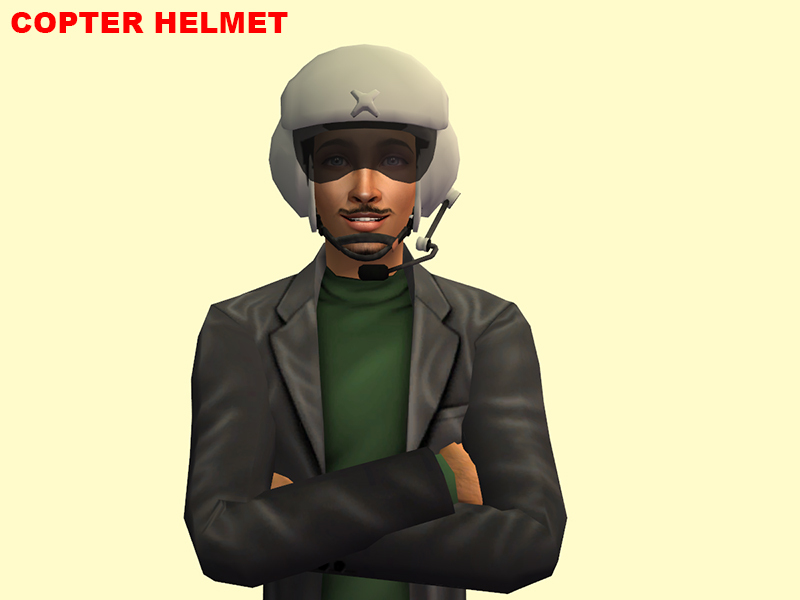 Egghead stuff: The motorbike is a special object designed to be used in conjunction with poses. 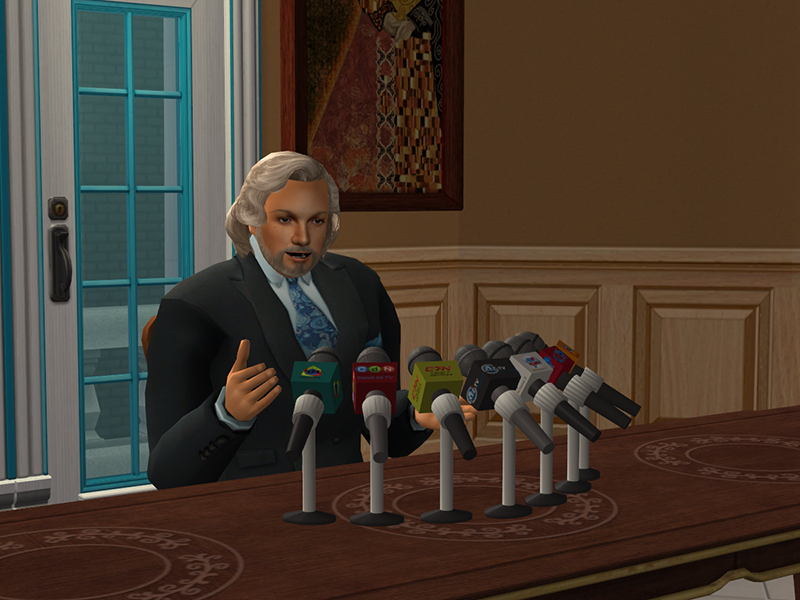 It contains two posing sims. 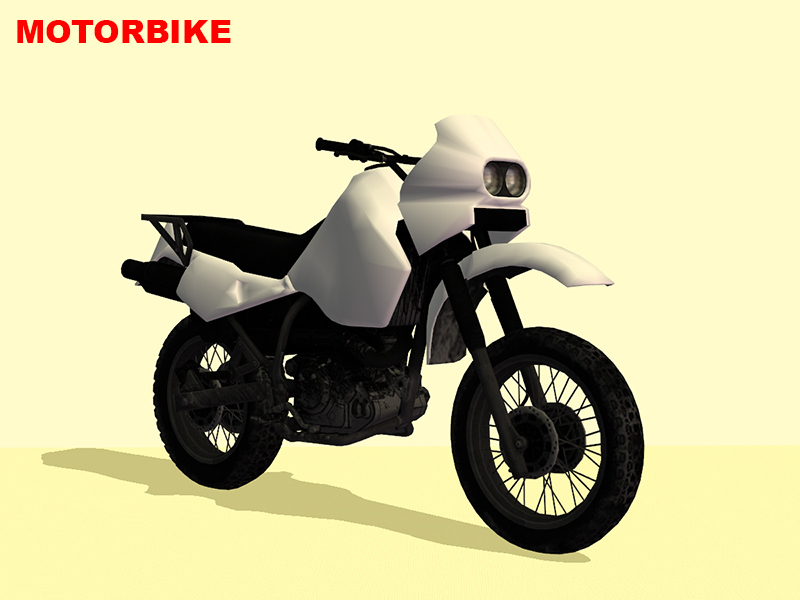 Once the slots have been filled, you can pick up the entire motorbike to reposition it. Important: to enable the slots you must first enter the cheat code "move_objects on". Egghead stuff: Just two deco camera objects. 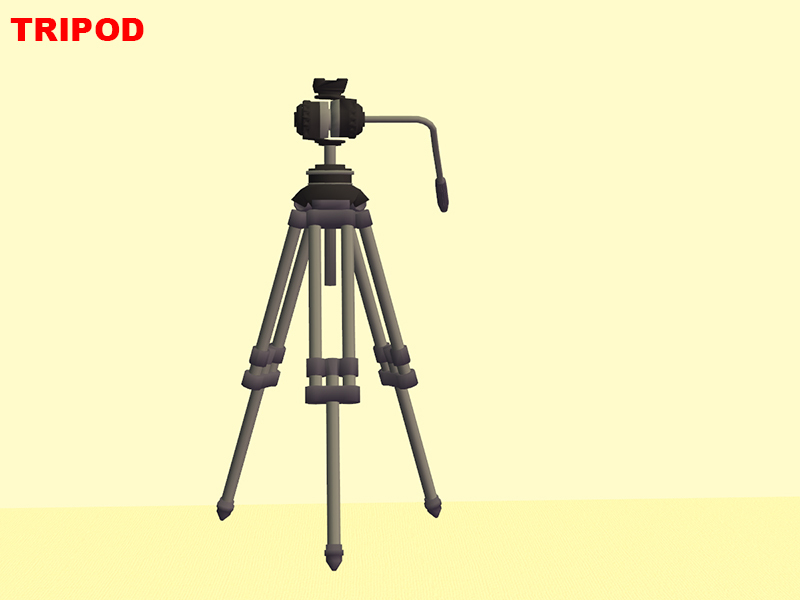 Egghead stuff: The tripod is a special object designed to be used in conjunction with poses. 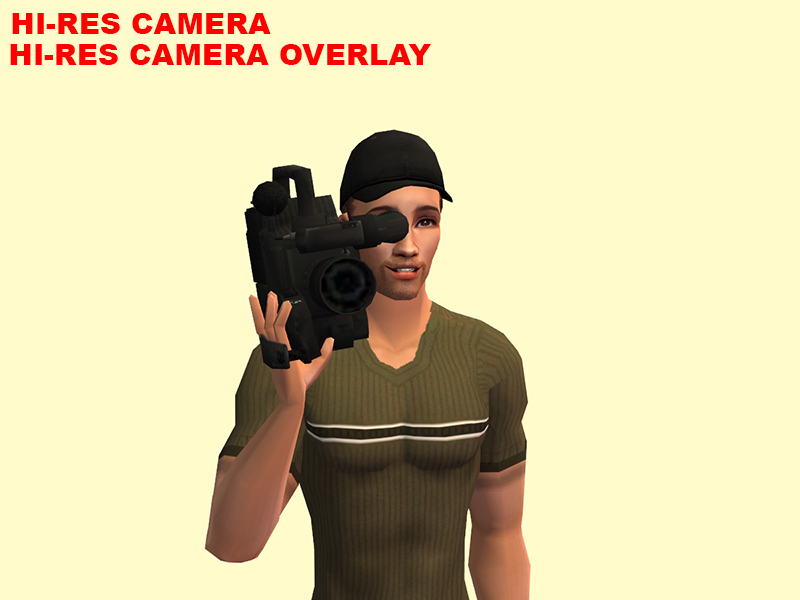 It contains one deco slot for placing a camera and one slot for posing sims. Once the slots have been filled, you can pick up the entire object to reposition it. Important: to enable the slots you must first enter the cheat code "move_objects on". 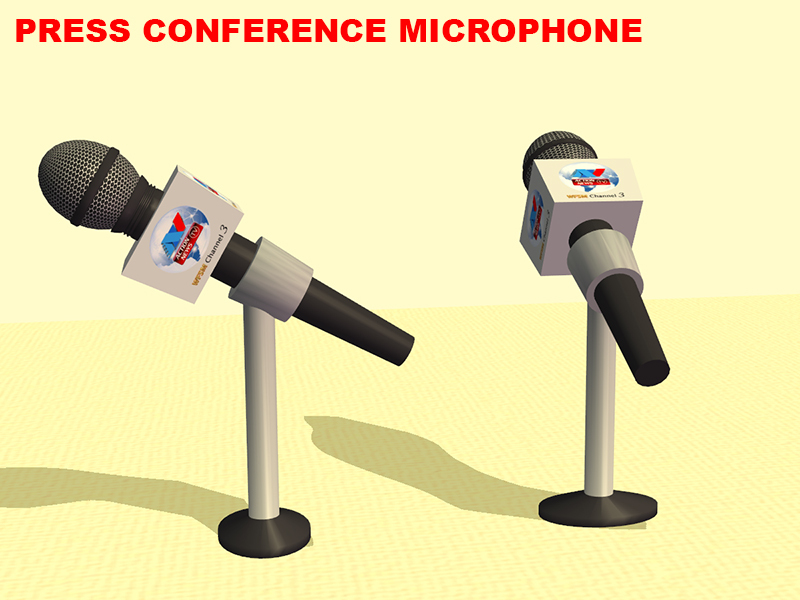 Egghead stuff: Just a deco microphone object. 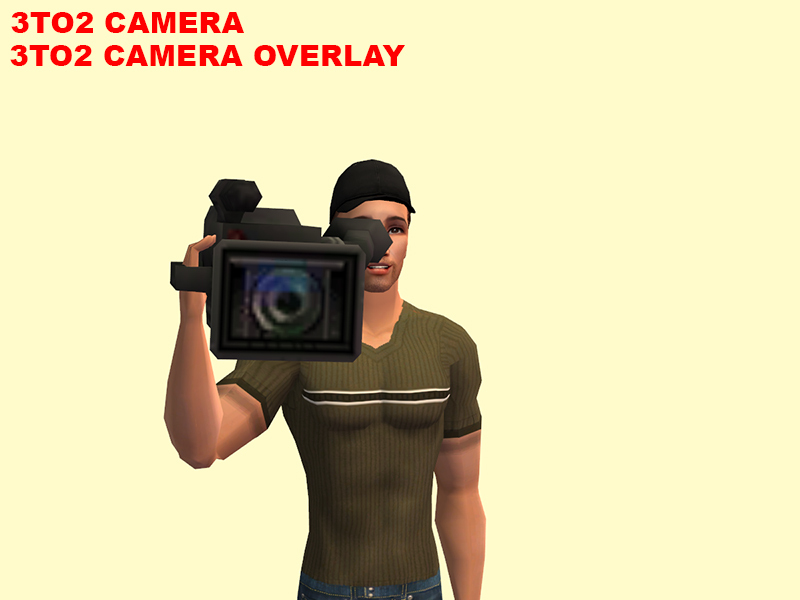 Egghead stuff: The studio camera is a special object designed to be used in conjunction with poses. It contains one slot for posing sims. Once the slot has been filled, you can pick up the entire object to reposition it. Important: to enable the slots you must first enter the cheat code "move_objects on". 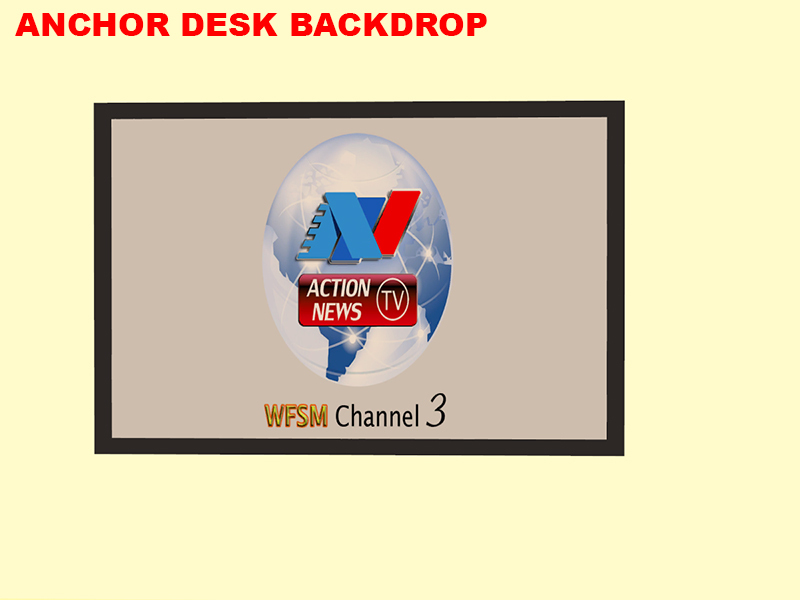 Egghead stuff: A big 3-tile deco object for adding a bit of atmosphere to your anchor desk. 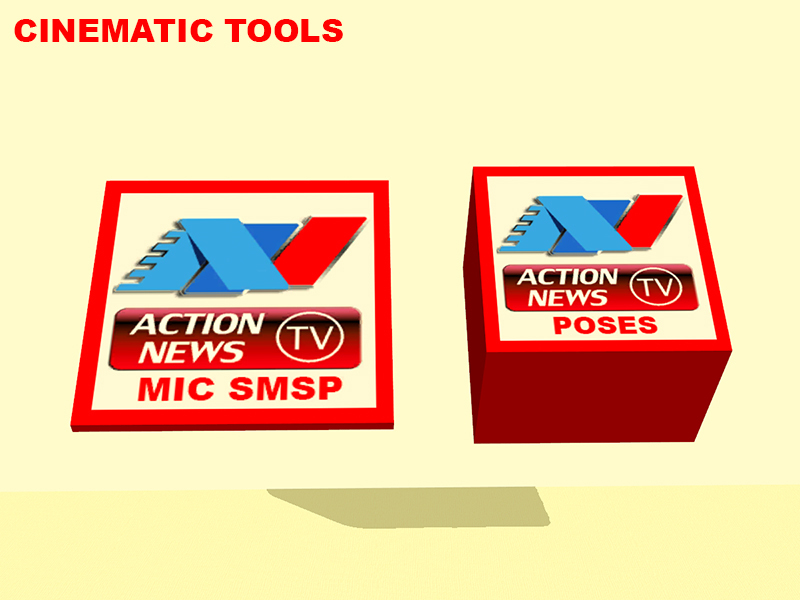 Egghead stuff: The posebox contains all of the poses and overlays to be used with this set. The SMSP contains seven specially placed slots. It works like a regular OMSP: use the ] and [ keys to shift it up and down. Fill it up with microphones and place it on a tabletop. 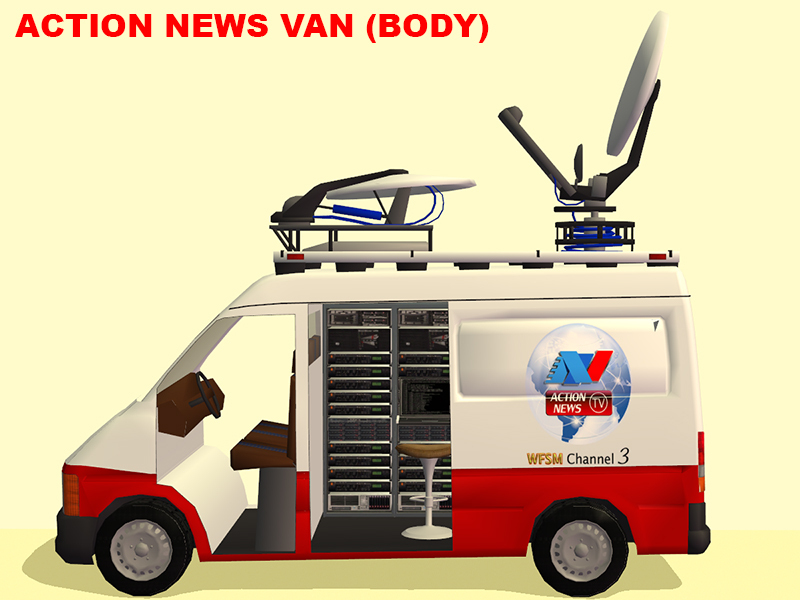 The van, copter, motorbike, microphone, and anchor desk backdrop all have eight color options, and each recolor is the logo of a fictional news station. All credit for the design of the logos goes to Coni. A guide to the poses and accessories included in this set. Accessories: A set of seven new accessories. 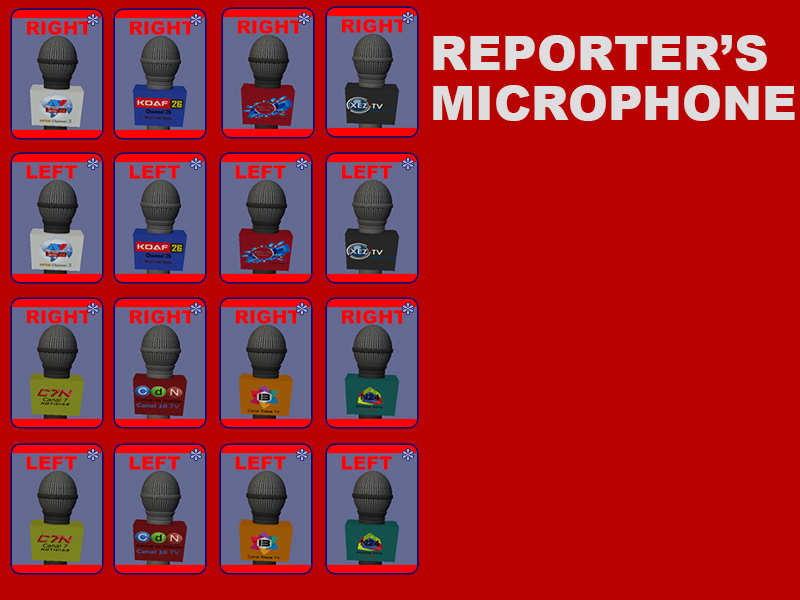 The reporter's microphone has eight recolors, to correspond with each fictional news station in this set. The accesories are all binned using my (Project 2395/Midnight at.../Combate Moderno) binning system, not Nix's/my binning system (Swords for Morgaine/The Armory). 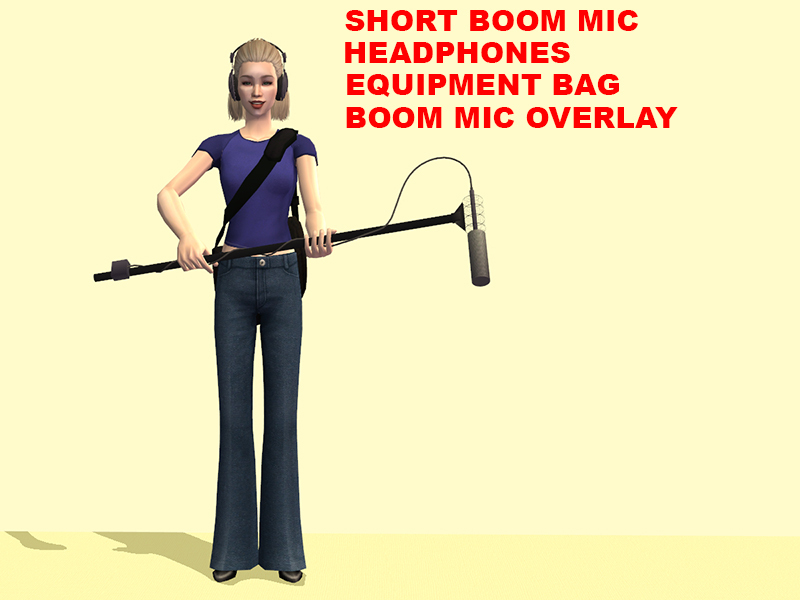 The right-hand microphone, cameras, and boom mics are binned as right hand, the left-hand microphone is binned as left hand, the headphones and pilot's helmet are binned as helmets, and the equipment bag is binned as a harness. Overlays: The overlays are made to work exactly with the poses. 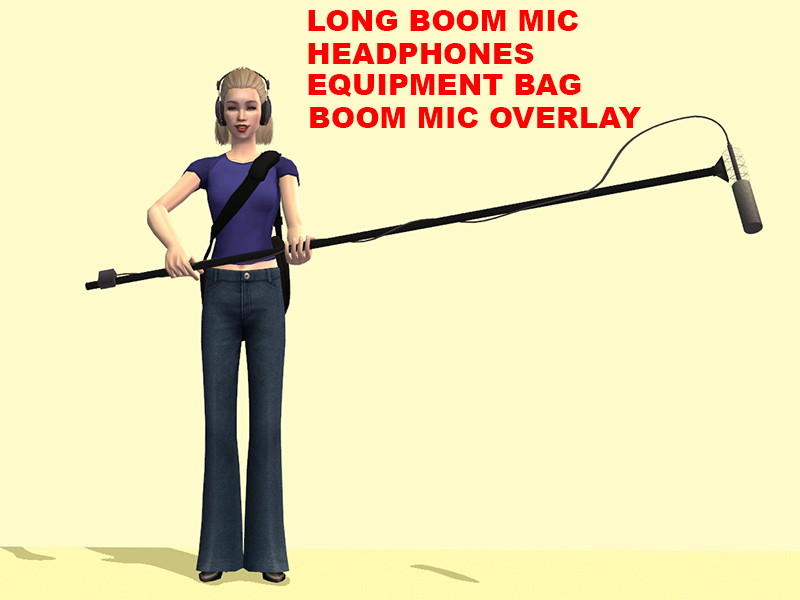 The microphone overlays only "lock" the skeleton from the shoulder to the fingers of one side of the body, the camera only "locks" from mid-spine up and leaves the opposite arm free, and the boom mic "locks" from the waist up. All of them can be used with lower torso overlays or Maxis walking, running, skipping, etc. animations. A guide to the other poses included. 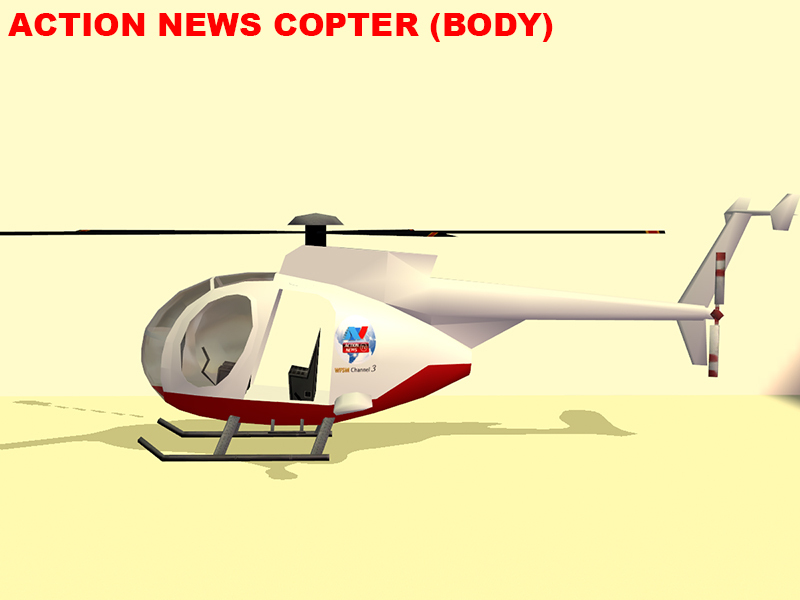 News Copter: The pilot and getting in poses are full-body. 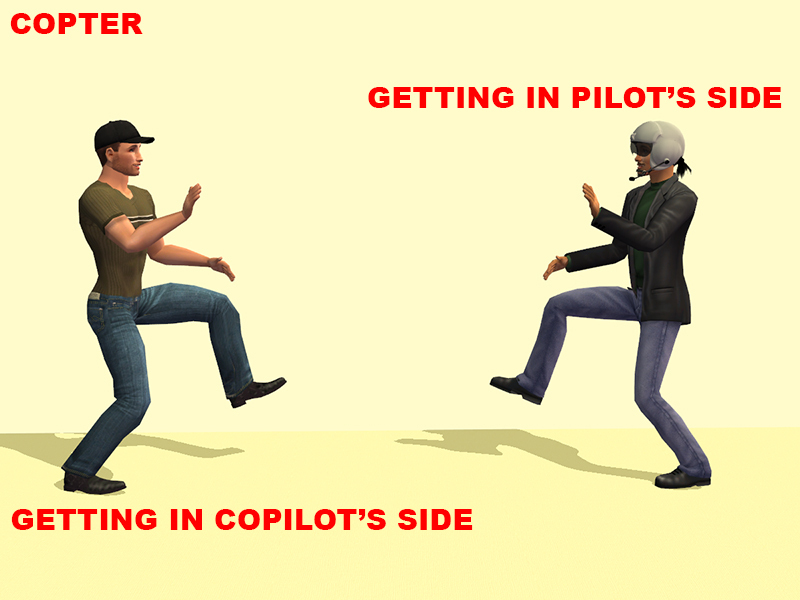 The copilot and passenger poses only "lock" the Sim from the waist down and are intended to be used with the passenger overlays are applied to the lower torso only. They're intended to be used with Decorgal's Talk Hack Changed to Overlay by Akihiro (the sitting one). Don't use Argue chair.../ or Talk chair.../ menu options. You may need to add the Back Lower.../ overlay as well. 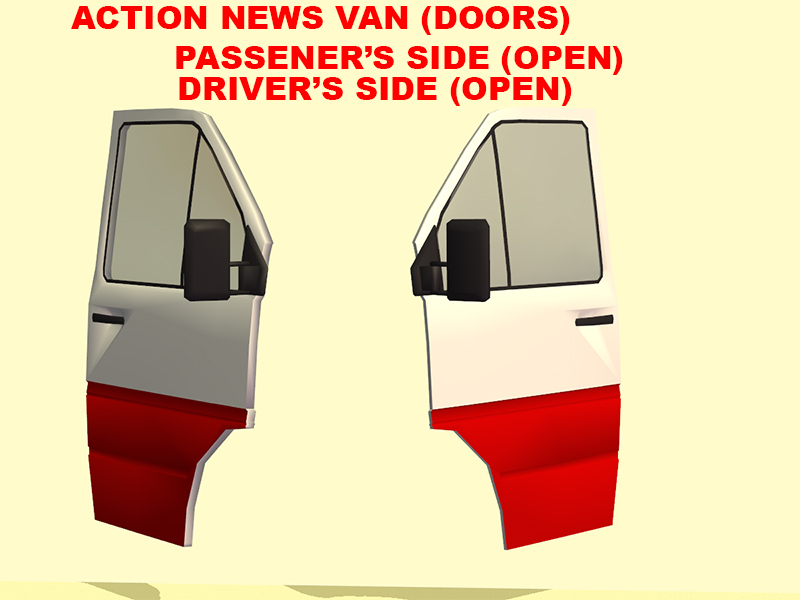 News Van: The driver, control and getting in poses are full-body. 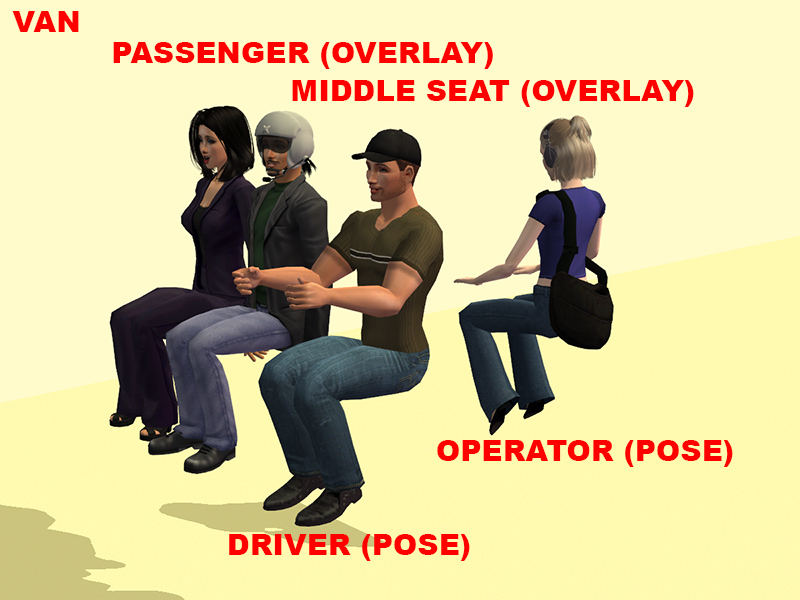 The passenger poses only "lock" the Sim from the waist down and are intended to be used with the passenger overlays are applied to the lower torso only. They're intended to be used with Decorgal's Talk Hack Changed to Overlay by Akihiro (the sitting one). Don't use Argue chair.../ or Talk chair.../ menu options. You may need to add the Back Lower.../ overlay as well. 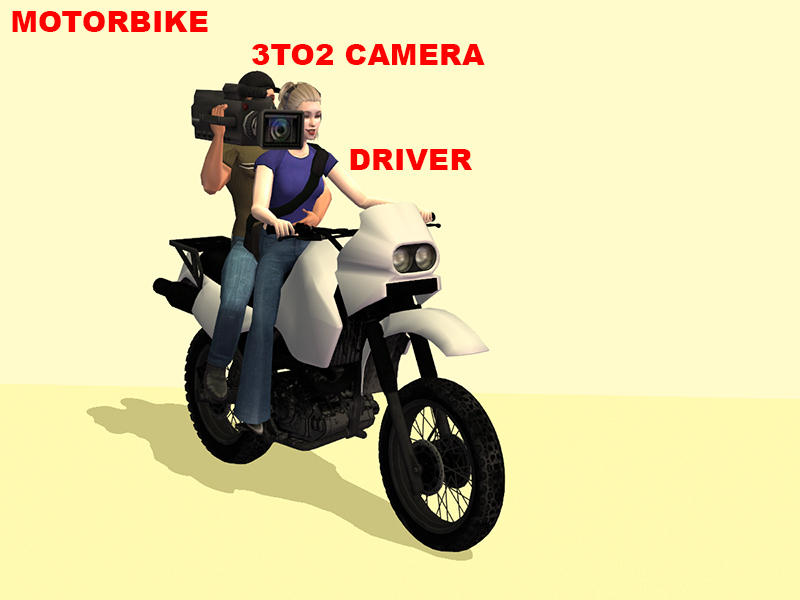 Motorbike: A set of full-body poses designed to be used with the motorbike and the camera accessories. 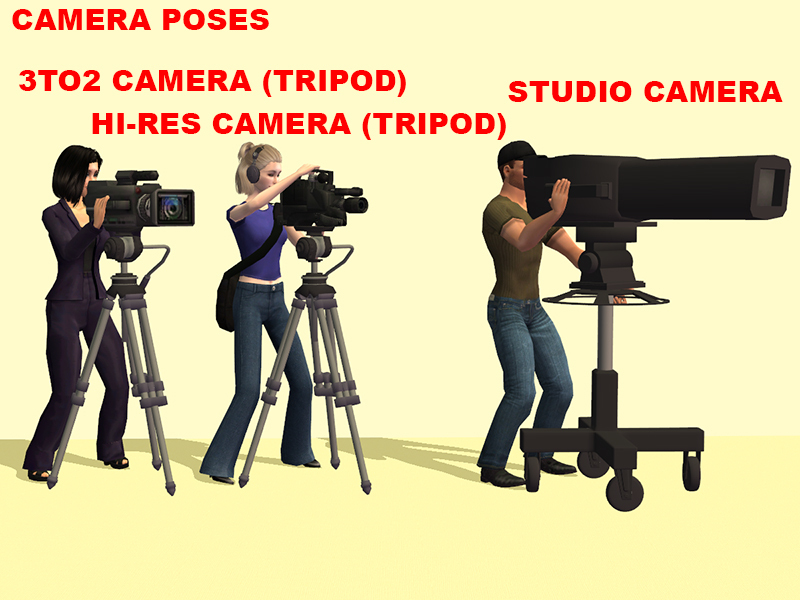 Cameras: A set of poses designed to be used with the deco cameras stacked on the tripod and the studio camera. 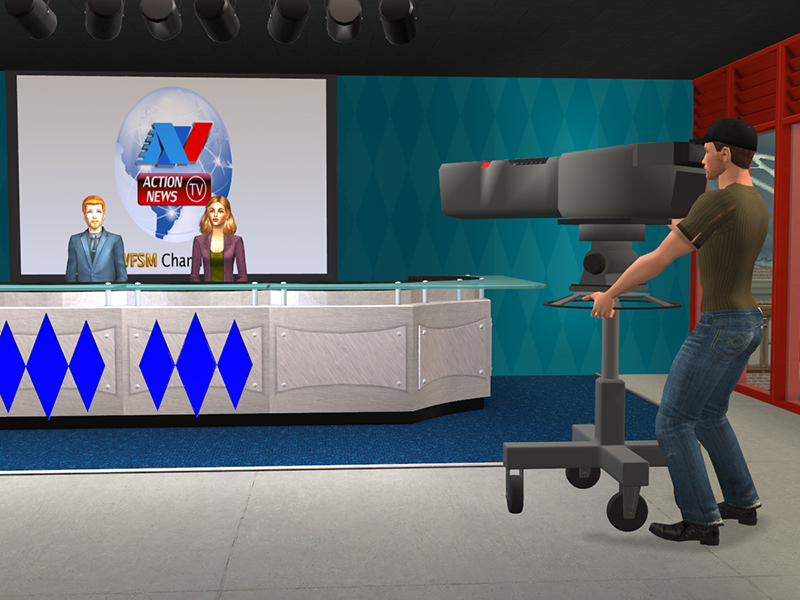 In the studio or on the ground, Action News works hard to bring the news to you! What a great idea! Thank you. I love it all! Hi, gNg! Glad you like it. Enjoy! Hi, there! This was a fun set to make. Glad you like it. Hey, there! I'm glad you like it. We were really happy with how nicely this set came out. Enjoy! Your work is ... ALWAYS stunning! 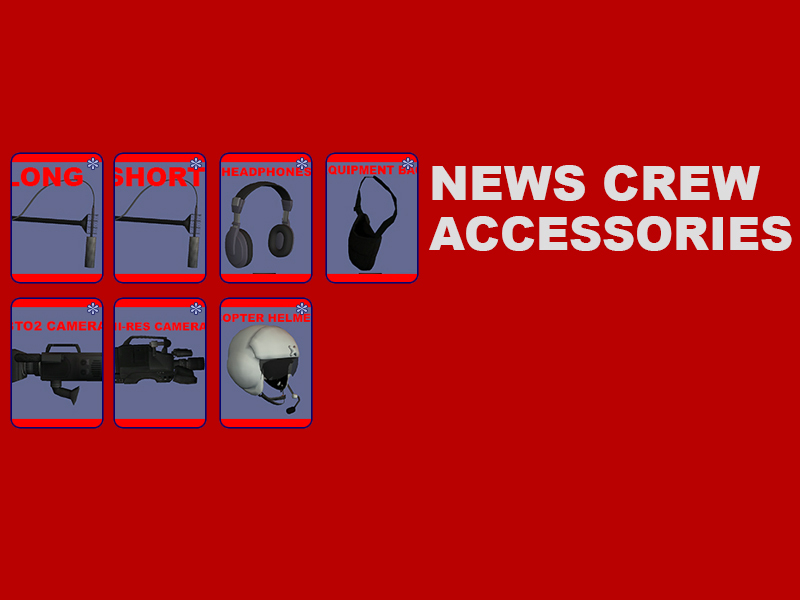 Now I feel like I need to create a news room! Hi! Thank you kindly. We appreciate the feedback. Maravilloso!! Me encanta <3 Muchas Gracias por Compatirlo!! This is fantastic!!! Thank you! Oh my god. I am actually this close to screaming! I really, REALLY needed this - see, years ago, on Directors United, I got a shoulder-mount camera and pose as a gift. I believe it was extremely high-poly so I only used it once before storing it away for later. I couldn't give it to anyone else, and I lost it once the link (and my harddrive) died. So, this is a blessing. I finally have a lower-poly camera, and the news media stuff I wanted really badly. This will complement my RSA 13" that I just made nicely, as a sort of monitor camera (feel free to use it!) - I am doing a plotline involving a news report and media swarming THIS MONTH for my series and this could not have come sooner. BLESS YOU FOR THIS. Hi, there! I'm glad you like it. 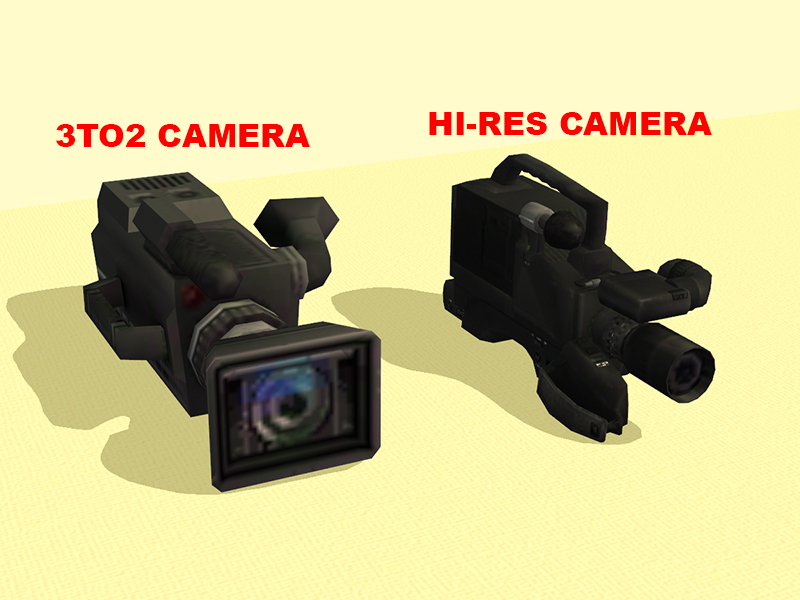 I was originally going to go with some higher-poly cameras, but it seemed like a lot of work to convert them. I saved the models for future projects, but the project as is was already insanely labor-intensive for both of us. The idea for the project was originally Coni's; she needed a couple of accessories and poses for one of her stories. We began brainstorming and eventually fleshed out the project as you see it. I'm glad the resources in this set will help you tell your story. Send us a link when you publish. We originally thought of this as kind of a one-off like Merrie Minstrels, but based on the massive outpouring of support and LOVE from the community (and Coni twisting my arm) we'll be making a sequel some time in the near future (moar news trucks, moar copters, moar motorbikes, and maybe a few camera accessories). This set is wonderful. Thank You! It's working great into the Sims 1 Superstar recreation hood. Again, Thank You! You and Coni make a fantastic creative partnership. HB! How are ya, brother? I guess sleeper hit would be a better choice of words. The original Merrie Minstrels was intended as a one-time post; I just needed a few instrument props for my story and I had no idea it would take off in such a big way and spawn 2 1/2 sequels. 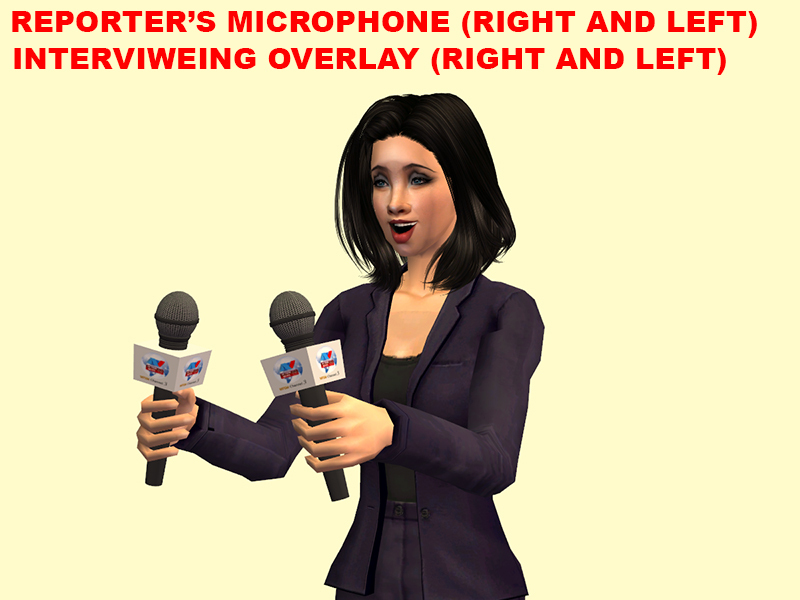 Likewise, we had no idea what kind of reception Action News would receive and we're just floored by all the Simmers shouting "More! More! More!". Aside from being my cyber-BFF, Coni has contributed a LOT of amazing ideas over the last year or so, and we will definitely be working together in the forseeable future (behind the scenes, she helps me big time with troubleshooting, alpha testing, texturing, and about a dozen other things). On that note, we're definitely working on a sequel. Maybe not immediately, but definitely in the next 2-3 months. Sorry to disturb. Super set and I can't wait to use it.... Problem is the .rar file keeps throwing me errors. Saying that it is either in an unknown format or damaged. Downloaded it 3x already. Same results. I would also like to know what the newsstations are called in full; pointing towards the 'WFSM', 'KDAF' etc. I'm very thorough in my writing, so knowing them would help. Regarding the download, I'm not sure what the issue is. This hasn't been reported to me before. I've tried downloading both logged into SFS and logged out, with no issues; the file is always downloaded completely/correctly. I would recommend clearing your cache of cookies/temporary internet files or trying the download via a different browser. Also, if it does get used in a story, please send me a link. I'd love to see what you create, and I like to keep up with what the community is looking for as far as custom content. I'll be sure to link you the chapter I'll be using it in. Update: Clearing cache did nothing. Other browser still gave me a corrupt/damaged file, which is weird, because I can download "Merry Minstrels" just fine. Winrar opens all the other files I downloaded today, so it can't be that. Maybe my anti-virus is doing things behind my back again. (wouldn't be the first time) I'll download it on my hubby's computer tomorrow, see if that changes anything. I'll let you know. Oh, almost forgot. I meant what do the letters stand for? WFSM? XEZ? I just read my previous post, yeah, should've been more specific. Hi, again. I'm not sure why you're unable to download. I know that there have been some connectivity issues with SFS recently, but to my knowledge they've been resolved. I've downloaded the file multiple times, both logged in and logged out of SFS, on Chrome and on IE. I can't replicate your issue, and thus can't troubleshoot it. I'm not sure what you mean by "I meant what do the letters stand for?". Most/almost all broadcast stations have "call letters", a 3- or 4-letter identifier unique to they station. In the eastern U.S. radio and TV station identifiers begin with "W" (like the fictional WKRP in Cincinati, and New York's WNBC). In the western U.S., call letters begin with "K" (El Paso's KBNA and Denver's very own KOSI, for example). In Mexico, call letters begin with "X" (XHTV or Chihuahua's XHECH Azteca 7, for example). They don't "stand for" anything in the same way that Orchid and ocelotekatl don't "stand for" anything. They're identifiers, not acronyms. Hello, I had to download and extract the package on hubby's computer before being able to transfer the files to my computer. I first downloaded it on his computer and tranfered it in the packaged file, but it threw me errors again. The winrar file just won't open on my computer. I have a suspicion Avast is acting up, but haven't tested it out yet. Like I said, your other downloads open fine. Oh, good news! I told you I wasn't crazy. I'm glad you got it to work for you, and you're most likely right: it's an antivirus thing and the downloader may have to disable it before downloading. For the record, I'm currently running Avast 18.5.2342 as an anti-virus and ByteFence 5.3.0.57 for anti-malware, and I don't have issues downloading. No worries, and I'm sorry for the confusion. I'm honestly surprised at this point that no one has endeavored to make CNN or Fox News recolors yet (I try not to throw fuel on that fire, but there are all kinds of creators in this community). If you need to recolor anything, I'd be happy to share my Photoshop templates. I realize the stuff we update most frequently (Combate Moderno, Midnight at..., and their respective adult projects at BHSA) appeal to a very niche group of Simmers, and in recent years (especially under Coni's influence), I've worked to create more general-use stuff like this and the Merrie Minstrels series. 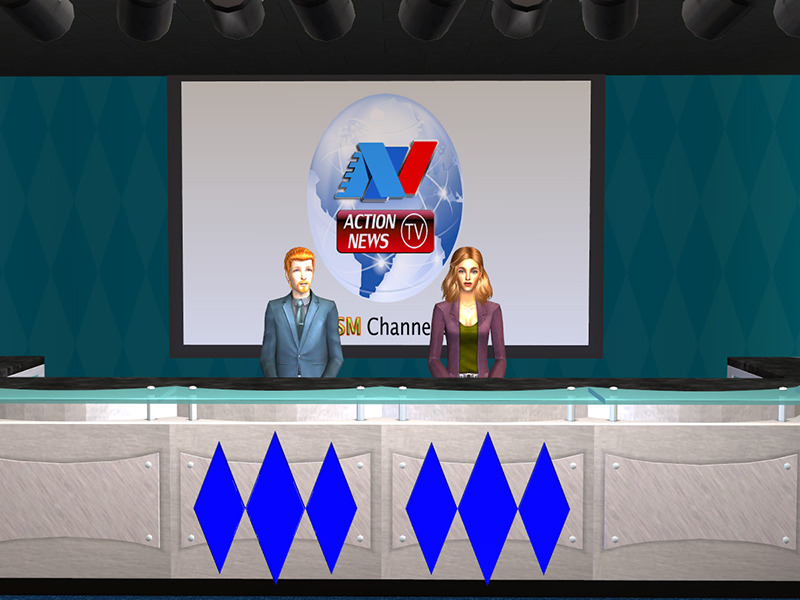 As I type this, I'm making an unplanned sequel for Action News, which I'll probably complete some time before 2028. I appreciate the feedback, and thank you for commenting. I understand. The bigger sets are of no use to people who don't have a scifi themed game/story. I still like admiring them though. True about CNN or Fox. Personally, I like fictional ones. Makes it seem less real-world-copycat and gives it more of an effort-feel. Besides, most of our sims worlds have fictional and weird names, so yeah. I'd love the templates, since I'm in a recolor flow these days. Although I'lll probably only recolor the backdrops and maybe the van. Question: Is recoloring acc. the same as other objects? Only using Bodyshop projects instead of SimPE? Orchid is my gamer name, but since it's easier to comment signed into gmail, there you have me! Hey, again. I added a link in the post to download the PSD templates. The maps are really simple and all you have to do, really, is paste the custom logo over them. 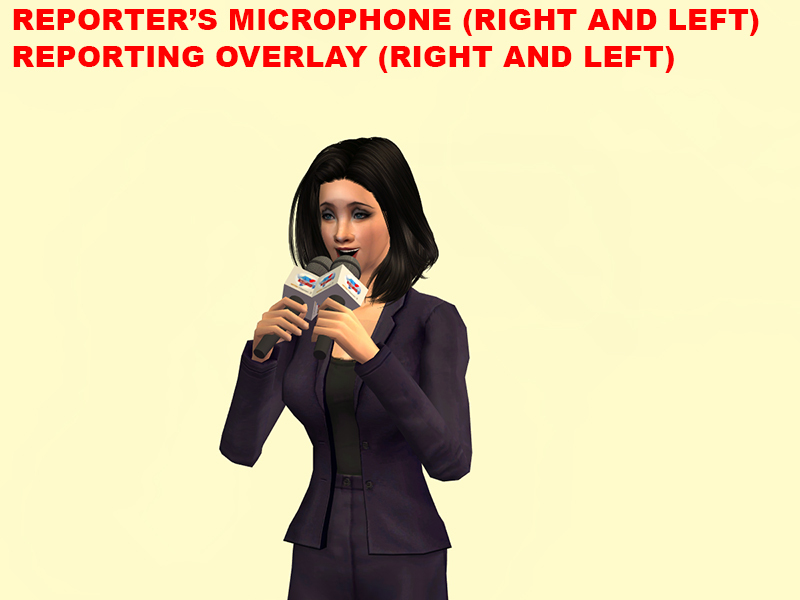 The deco microphone and the accessory microphone use exactly the same map. Accessory recolors are really easy. It's just like making a hair or clothing recolor in Body Shop. After six of seven hours of fiddling around, I have exactly one helicopter that still has some mapping issues, a deco camera, and an accessory camera. Hopefully, I'll be wrapped up in 2-3 weeks. I'm sorry. I don't play Sims 4 and don't know how to do conversions for Sims 4. Gracias. Espero que le sirve por sus proyectos. Disfrute!